Looking to woo and win potential buyers? The little things make all the difference. Planning to sell your house this year? Don’t be overwhelmed by all the details involved in preparing it to go on the market. Set aside a couple of weekends to do the work, and follow these three simple steps. Then, be ready to make a great impression on potential buyers and cinch the deal. It may sound obvious, but the importance of cleaning and decluttering cannot be overstated. Here are some ideas to make this process nearly painless. Get rid of clutter before cleaning. This is the time to purge your house of unwanted and unnecessary items. In addition to donating items to charity, you might consider giving them away through Craigslist or neighborhood sharing groups. Recyclers are often willing to pick up and haul away large metal items for free. The goal is to make your house a clean slate before you get down to cleaning. Deep clean your house. This step will probably involve the biggest time investment. Get the whole family involved if you can! Think of this as a pumped-up spring cleaning. Pay special attention to kitchens and bathrooms, and clean the inside and outside of your windows — this makes a striking improvement in the overall appearance of your house. Organize closets, cabinets, and drawers. In this case, out of sight is not out of mind. 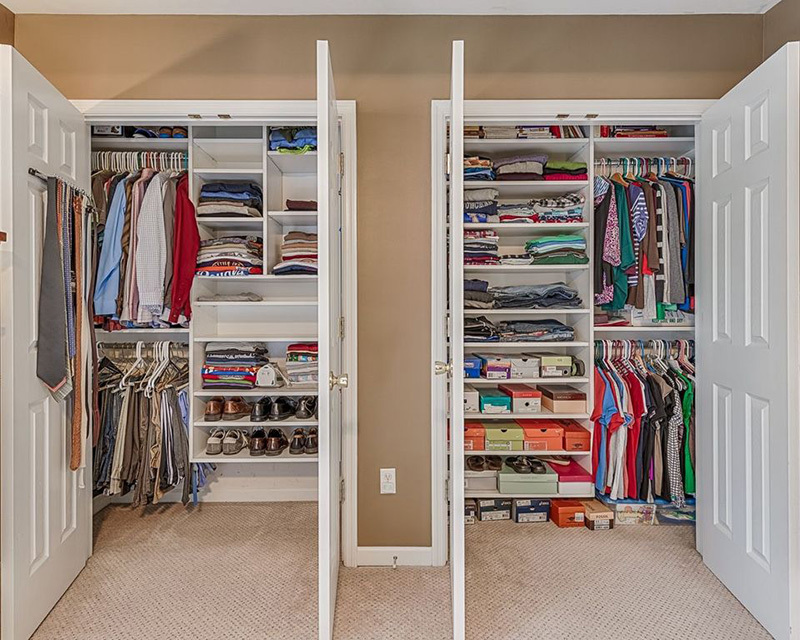 Many potential buyers will open cabinets and closets, because they are thinking about storage space. If your storage areas are clean and organized, it will send a signal to buyers that you take care of the house. Fix any leaking faucets and running toilets. Replace caulking around tubs, showers, and sinks. Freshen up or repair grout as needed. Repair walls and repaint them in a neutral, generally pleasing color that complements your home. Fix cracked or broken windows. Replace or repair damaged window screens. First impressions are a big deal. You want potential buyers to be charmed by the outside of your house so they look forward to coming inside. Extend your pumped-up spring cleaning to the outside of your house, too. Trim bushes, shrubs, and trees. Make sure vegetation isn’t touching your roof or siding. Repair broken downspouts and gutters. If it’s appropriate for your yard, apply new mulch, river rock, and/or pea gravel. This can do wonders for your landscaping and provide immediate curb appeal. Clean and repair concrete areas, such as driveways and walkways. Be sure to eliminate any oil or grease stains, and clean out any weeds coming up through the cracks. Dress things up a little bit. If it’s seasonally appropriate, put out some pots of annuals, which will maintain their color for the season. Freshen up your doorstep with a new welcome mat. Make sure the house numbers are easy to see, and in a style that complements your home.